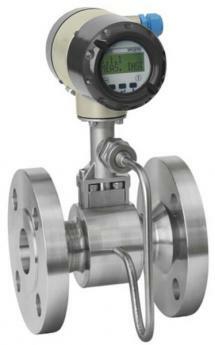 ​A market leading process measurement device, the VersaFlow Vortex Shedding flow meter is designed with steam and gas applications in mind. With built-in temperature compensation as a standard feature and optional integral pressure compensation, it is the first choice for saturated steam, superheated steam and compensated gas flow measurement. The flow meters ability to measure low viscosity liquids and volumetric flow rate makes it a great choice for water or condensate measurement. The VersaFlow Vortex Shedding flow meter is a two-wire design that is available in configurations for pipe line sizes from DN15 to DN100 (1/2” to 4”) in a wafer design and DN15 to DN300 (1/2” to 12”) in a flanged design.